This article was last updated Oct 24, 2018, but some terms and conditions may have changed or are no longer available. For the most accurate and up to date information please consult the terms and conditions found on the issuer website. It’s that time of year again, when your inbox floods with holiday deals and sitewide sales, preparing you for some of the biggest shopping days of the year — Black Friday and Cyber Monday. The three-week period between Thanksgiving and Dec. 15 is the most popular time for holiday shopping, according to CompareCards.com’s 2018 Early Holiday Shopping survey. While these days are known for fantastic discounts and doorbuster deals, you can still rack up high expenses. Our survey found that 37% of credit card holders anticipate spending more money this year, compared with last year. Regardless if you plan on spending more, less or the same amount than last year, shopping for the holidays can be expensive. You may not have the money available for all the purchases you plan on making, so using a credit card that offers rewards or special financing can help you save money. We’ve rounded up the best credit cards that you can use to earn cash back and rewards on your holiday shopping at Amazon, department stores, wholesale clubs and at other places as well as cards that can help you finance purchases over time. Amazon.com has a seemingly endless selection of products, making it a great destination for your Black Friday and Cyber Monday shopping. You can use an Amazon-branded credit card or rotating 5% cashback card on the site to earn rewards on your spending. Redeeming the rewards you earn for a statement credit can help retroactively reduce the cost of any purchases you made on Amazon.com. The Amazon Prime Rewards Visa Signature Card is great for all your year-round spending at Amazon.com — not just Black Friday and Cyber Monday. You earn 5% back at Amazon.com and Whole Foods Market, 2% back at restaurants, gas stations and drugstores, 1% back on all other purchases throughout the year, compared with some other cards that may only offer Amazon.com as a 5% bonus category for one quarter a year. 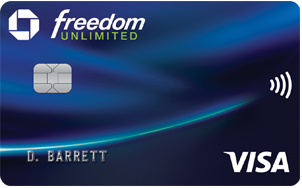 While this card has a $0 annual fee, you need a Prime membership, which currently costs $119 for the annual plan. But, there’s a new cardmember offer where you receive a $70 Amazon.com gift card upon approval, which can help offset the Prime membership fee. There is a version of this card that doesn’t require a Prime membership, the Amazon Rewards Visa Signature Card, but you earn lower rewards at 3% back at Amazon.com and Whole Foods Market, 2% back at restaurants, gas stations and drugstores, 1% back on all other purchases. Overall, the Amazon Prime Rewards Visa Signature Card is a no-brainer for Prime members since it costs nothing to carry and offers the best rewards rate around for Amazon.com purchases. The information related to the Amazon Prime Rewards Visa Signature Card and the Amazon Rewards Visa Signature Card has been collected by CompareCards and has not been reviewed or provided by the issuer of this card prior to publication. The Discover it® Cash Back offers Amazon.com and wholesale clubs as a bonus category from October to December 2018 — just in time for holiday shopping. You earn 5% cash back at different places each quarter like gas stations, grocery stores, restaurants, Amazon.com and more up to the quarterly maximum, each time you activate, 1% unlimited cash back on all other purchases - automatically. The quarterly maximum is $1,500, so that’s a $75 cashback limit to the amount of 5% cashback you can earn each quarter, before the cashback rate drops to 1%. The quarterly maximum shouldn’t be a major issue if you plan on spending less than $1,500 combined at Amazon.com this October to December. Otherwise, you may want to consider the Amazon Prime Rewards Visa Signature Card mentioned above. Major department stores like Macy’s and Bloomingdale’s always offer various Black Friday and Cyber Monday deals that can kickstart your holiday shopping. These department stores and most others offer store cards, but those cards can only be used in the issuing cards store. So, if you don’t favor one department store and instead shop at several stores, a store card isn’t the best choice since you’ll need to carry multiple cards for each department store. Therefore, below we’ve listed a card that can earn you a competitive cashback rate at eligible department stores. The Chase Freedom® offers department stores, wholesale clubs and Chase Pay® as its 5% bonus categories for October to December 2018. There is a $1,500 quarterly maximum — so $75 cash back limit on the amount of 5% cash back you can earn in a quarter — before the cashback rate lowers to 1%. If you don’t mind activating the bonus categories and want a wide selection of eligible department stores to shop at and earn 5% cash back (up to a quarterly max of $1,500, then 1%), then this card is a good choice. Most people don’t shop at just one store during the holidays, they may need to make some online purchases at Amazon.com, go to a children’s store, a department store and other places to get everything they need. In those cases, you’ll either need several credit cards to maximize your rewards for each store you go to, or you can simply use a flat-rate cashback card that earns you the same amount of cash back regardless where you shop. The Citi® Double Cash Card – 18 month BT offer is our top choice for a flat-rate cashback card since you earn 2% cash back on purchases: 1% when you buy plus 1% as you pay. This is double the amount of what most rewards cards earn on everyday purchases. Using the Citi® Double Cash Card – 18 month BT offer can also simplify paying for your transactions compared with carrying multiple cards — you won’t have to worry about which card to use at a certain store. If you do have other rewards cards, you can use the Citi® Double Cash Card – 18 month BT offer for everyday purchases and your other cards on the purchases they earn more rewards in. This card also comes with Citi® Price Rewind, where you can save up to $200 an item and up to $1,000 per calendar year when you register eligible items online. Citi will conduct a 60-day search from purchase date to see if a lower price is found, and if they find a lower price, you may be reimbursed for the difference between the amount you paid and the lower price found. You can also enter a manual claim if you find a lower price as long as it’s within 60 days from purchase date. Wholesale clubs are a great place to stock up on items for entertaining guests during the holiday season as well as buying gifts. Major wholesale clubs like BJ’s, Costco and Sam’s Club all offer their own co-branded credit cards for members to use and earn rewards. And, some cards from major issuers offer wholesale clubs as a bonus category during the holiday months. Keep in mind, to shop regularly at wholesale clubs, you’ll need to be an active member. But, many clubs offer free one-day passes where you can shop around without becoming a member, or you can simply tag along with a friend or family member who already has a membership. There are two credit cards from major issuers that are offering wholesale clubs as a bonus category from October to December 2018 — the Chase Freedom® and the Discover it® Cash Back. Both cards require you to activate the bonus categories and have $1,500 quarterly maximums on the amount of cash back you can earn before the 5% cashback rate drops to 1%. These cards can be great for your wholesale club shopping, especially if you’re a member of more than one club and don’t want a club-specific credit card. While you may not initially think to shop at your local supermarket during Black Friday, you can potentially save money on groceries and other items you buy there if they run promotions. The Blue Cash Preferred® Card from American Express offers the highest rewards rate we could find for U.S. supermarket spending with 6% cash back at U.S. supermarkets (on up to $6,000 per year in purchases, then 1%). 3% cash back at U.S. gas stations, 1% cash back on other purchases. But, beware there’s a $95 annual fee. 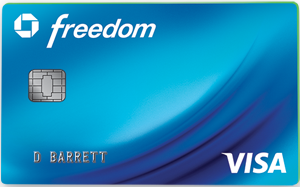 There is a $0 annual fee version of the card — the Blue Cash Everyday® Card from American Express. The caveat is you earn half as much cash back on U.S. supermarket purchases with 3% cash back at U.S. supermarkets (on up to $6,000 per year in purchases, then 1%). 2% cash back at U.S. gas stations and at select U.S. department stores. 1% cash back on other purchases. That may not be an issue depending on how much you spend at U.S. supermarkets. If you spend more than $264 a month ($61 a week) at U.S. supermarkets, you’ll benefit more from the Blue Cash Preferred® Card from American Express (even with it’s $95 annual fee). Anything less than $264 a month and you should stick with the $0 annual fee Blue Cash Everyday® Card from American Express. Keep in mind superstores, convenience stores and warehouse clubs like BJ’s, Target and Walmart aren’t considered U.S. supermarkets and will earn 1% cash back. Holiday shopping can cost you a lot of money, and many people fall into debt as a result of shopping for everyone on their list. You can avoid debt traps like incurring high interest charges by using a credit card offering a 0% intro period for new purchases. These cards can help you finance new purchases interest-free for as long as 18 months. About two months before your 0% intro period ends, you should check to see if you’re on track to pay off your debt before the end of the intro period. If you are, great — you’re all set! But, if you still have lingering debt that you don’t think will be paid off in full before the end of the intro period, you should consider a balance transfer credit card. A balance transfer is when you transfer debt from one card to another card offering a 0% intro period for balance transfers. This can provide you with more time to pay off your debt. Keep in mind balances can’t be transferred between cards from the same bank and you most likely will incur a balance transfer fee — but it’s most likely minor compared with the amount you’ll save on interest. 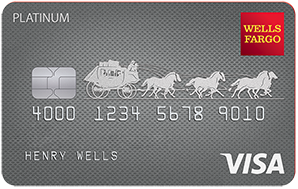 However, there are cards with no balance transfer fees.